Campaigners are urging the government to reconsider plans to sell a military training camp, which could result in the loss of up to 3,000 jobs. The Ministry of Defence is considering selling Blandford Camp, in Dorset, to a private sector bidder in a move to unite armed forces skills training. 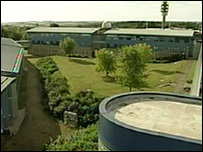 Two firms have bid to move the defence college to South Wales or Shropshire. Protesters, who say the move would be an "enormous loss", are handing local MPs a petition in London. Annette Brooke, MP for Mid Dorset and North Poole is one of three Dorset MPs who will collect the petition at Westminster on Monday afternoon. She said: "We've just got to try everything to get the message over how important this is to us. "Though we know that it could mean an enormous job loss...there will be knock on effects obviously with less expenditure on various goods from local suppliers, less money in the local economy, the loss of skills to the local economy. "So it would actually affect all of us in Dorset to some degree." Bob Walter, MP for North Dorset, and Jim Knight, MP for Dorset South, will also meet with campaigners in London. Mr Walter will later present the petition to the government.